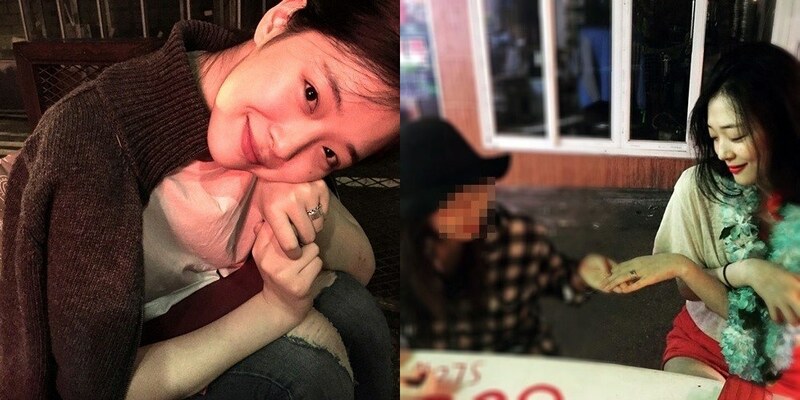 Sulli Hinting At Marriage with Engagement Ring? Sulli Choi may be hinting at marriage with the photo showcasing what seems to be an engagement ring. The news may seem more likely since the idol may have left f(x). The photo was posted via various online communities, with threads stating the photo is from her private Instagram. In one photo she's wearing red shorts and holding out her hand, with an engagement ring visible. In the other photo she's crouching down, but the ring is still clearly visible.